It’s 5:30 PM on a Friday evening and while many Angelenos are unwinding and getting ready for the weekend, a small group of female artists/activists are rolling up their sleeves and gathering at Casa Grande in East LA. To strategize and finalize logistics for this year’s International Women’s Day Celebration. Actually, they’re working on a month-long salute to women’s herstory because…because…well, simply because one day of Viva La Mujer just isn’t enough for them. These are corn women, afterall, officially known as Mujeres de Maiz, and the corn women of East LA don’t mess around. For starters, they’ve been organizing art events for the past 13 years. Rumor has it that during meetings, they bust out 7 page agendas and sometimes hold each other hostage for 3-4 hours. Ay! I would need to sneak a swig or two of tequila to keep up with them. There’s so much to say about Mujeres de Maiz, but there’s one thing I want to make clear–estas mujeres estan bien locas. They’ve been working for free for the past 13 years, they burn sage, wear sea shells and feathers on their ears, strap giant wings made of corn husks on their shoulders and show up to City Council meetings to defend the arts. When they aren’t planning events or juggling jobs to pay bills, they delve into their own art; they paint, poet, make films, sculpt. This week, I was able to crash one of MDM’s organizing meetings. The women, most of whom have been with the collective since its inception, were kind enough to delay their agenda and chat with me about MDM and this year’s event. Core members of the collective and Board of Directors are Felicia Montes, Gina Aparicio, Margaret Alarcon, Lily Ramirez, Claudia Mercado, and Maritza Alvarez. During our 15 minutes together, Mujeres de Maiz shared more than I could possibly include in this small bloga (son bien platiconas las muchachas). The following excerpts, therefore, by no means attempt to offer a comprehensive history of the 13 years of Maiz herstory, rather they briefly highlight a few of the women’s pensamientos and insights. Margaret: I think it’s empowered a lot of people. Personally, coming out of my educational background in art, I felt really invisible through that whole experience. Meeting up with these women made me feel present and valid. I had something to say and MDM gave me the space to say it. Felicia: It’s true we are often very East LA centric, but Mujeres de Maiz has always been intergenerational, intercultural, and now it’s become more national. Even though we don’t have events in other places, there are people in other states who’ve been inspired and influenced by the work we’re doing here. Through Facebook, Myspace, and other mediums we’ve been able to share who we are and what we do with non-local people and this is exciting. Claudia: Aside from crossing borders, I believe that as a collective we’ve also been instrumental in supporting other’s larger visions. There was one year where MDM, for example, helped Womyn Image Makers [an all-female, LA based film collective] go to the United Nations for the Permanent Indigenous Forum. The funds provided by MDM enabled another collective of women to document and experience that forum first hand. It’s collaborations like these where we are not only empowering ourselves but other collectives as well. Lily: This is a world class musicians who’s donating her time and her art for our community. What a gift! We just put it out there and someone believed in what we’re doing and that’s really amazing. The collaboration that she’s going to have with local musicians is also going to be historic and it’s going to happen in a historical place too, here, at Casa Grande. I don’t know if you know the history of the Paramount Ballroom here at Casa Grande, but in the 1940’s and 1950’s the Communist Party used to meet here. It was a social place where they could gather. In the 1960’s, artists like Richie Valens performed here, Etta James, The Clash, and X. Famous people. In 70’s and 80’s it was the Punk Rock ELA movement and punkers in general. 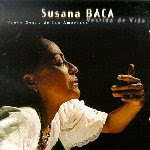 Then in the 80’s it was disco, and now here we are, Susana Baca will be closing the circle. Felicia: In the past 13 years, there’s been one Neighborhood Council Grant and that was for our Zine. There’s a chance we may get one this year too, but pretty much everything we’ve done has been possible because of hard work, volunteers, and in-kind donations. Nobody’s been paid. When you think about it, it’s pretty incredible that we’re still here. Gina: What we’re doing is creating sacred spaces for ourselves because they don’t really exist for us in this city and in this side of town. There are less and less community centers, especially right now because of the economy and budget cuts and art programs are always the first to get cut. An interdisciplinary, intercultural, intergenerational event honoring International Women’s Day and Women’s Herstory Month with events along First Street in Boyle Heights/East LA.